Ap Leblanc themes has been purchased 16, rating: 4/5 based on 4 reviews. 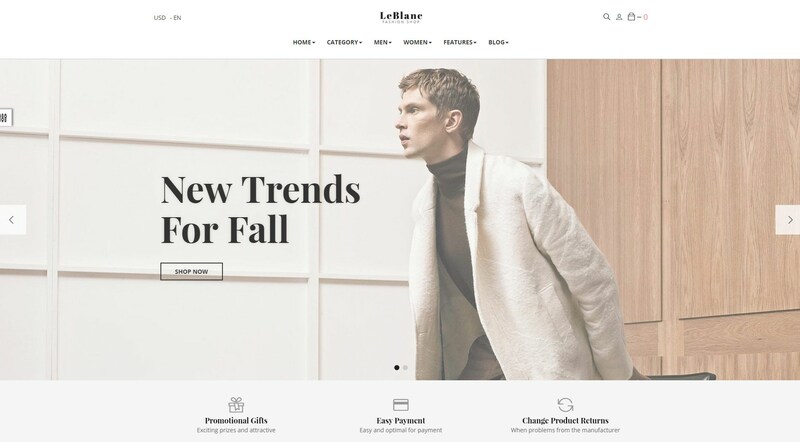 Developed by Apollotheme, Ap Leblanc is an excellent Shopify theme for e-commerce stores. It suits many different stores such as fashion, clothing, apparel, beauty, accessories, etc. This is a beautiful and modern design that easily attracts customers from first sight. In addition, Ap Leblanc comes with tons of powerful modules as well as a flexible control panel, it will definitely help improve the great shopping experience on your website. Don’t miss the opportunity to own Ap Leblanc for your online store.